When you’re hosting a sleepover, one of the most important things to have is a list of activities. After all of the sleepover-snacks have been eaten and the gossiping has come to an end, you’ll need something for your guests to look forward to. We’ve created the ultimate list of things that you can do at a sleepover to make it the most memorable night ever. All of these activities are family-friendly and fantastic for kids of any age. In fact, even adults might want to get in on the fun! Similar to “Hide and Go Seek”, Manhunt is a fan-favorite and classic game to play with friends. Plus, it’s a great way to get everyone outside. With that being said, if it’s not the nicest weather, we recommend playing it indoors. Manhunt requires one person to be the hunter while the other guests hide. When the hunter finds a person, that person also becomes a hunter. As the game progresses, more people become the hunters and the last person that hasn’t been found yet, they are the champion. If you want to play this outside, we definitely recommend bringing a bottle of water and a flashlight with you so that you can stay safe and hydrated. It’s best if you can play Manhunt in a safe area at night, as it adds to the spooky ambiance. This is something that is a great idea for sleepover guests of every age. However, you’re going to need to make sure there aren’t any regulations about having fires in your local area. Some cities require fires to be contained and others state that you can’t have a fire unless it’s used for outdoor cooking. Either ask your parents or do the research yourself before planning a bonfire. 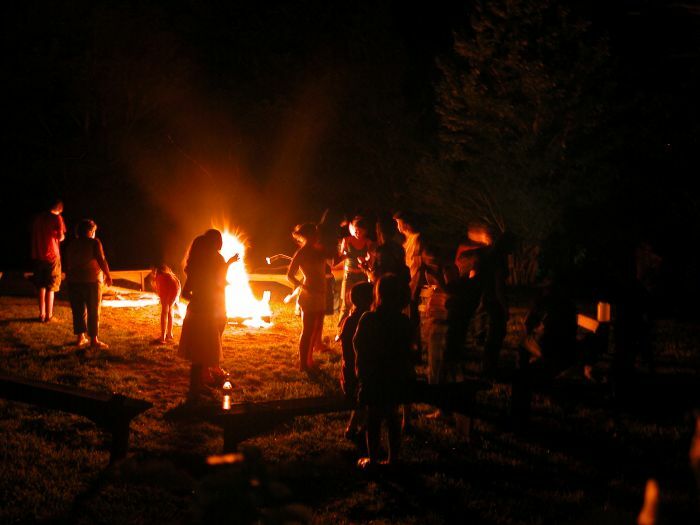 Bonfires are a fantastic activity as you can do anything from telling scary ghost stories to enjoying a couple of drinks with your favorite people in the world. It will feel as if you’re camping but in the comfort of your own backyard. Are you someone who has always loved the idea of camping but aren’t a fan of the outdoors? There’s no need to worry as you can easily transform your home into an indoor campground with ease. 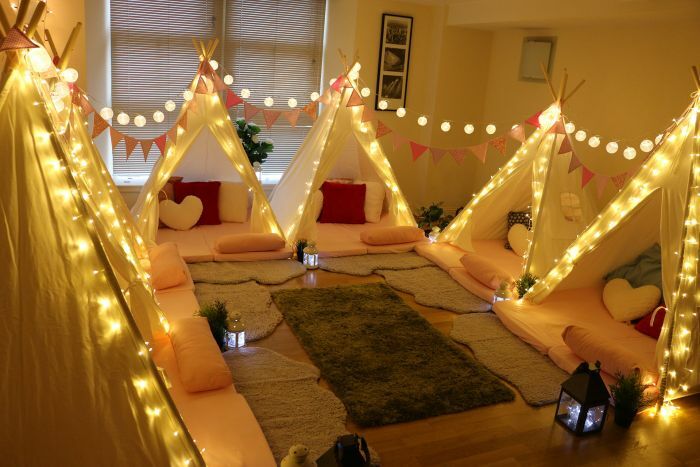 Indoor camping is also a great idea for a children’s birthday party where some friends might be staying over. With the help of your parents or friends, move the furniture out of the largest room in your home. You can then set up an assortment of tents that everyone will be sleeping in. We recommend using your living room, as you’ll be able to take advantage of the TV to watch movies until your eyes get heavy. You can also create a camping-style menu for dinner and snacks. For example, hot dogs and hamburgers as your entrée and then homemade s’mores for dessert. You can even have some outdoor-based activities for your guests to enjoy, such as painting birdhouses. Most people don’t realize how much fun karaoke can be until they’re able to do it. This is a particularly great idea for a sleepover where people might not know each other too well. Kids will love this idea because they’ll be able to sing their hearts out to their favorite songs on the pop radio charts. However, for young adults, karaoke is a fantastic bonding experience as well. As long as you’re above legal drinking age, you can serve phenomenal cocktails for everyone to indulge in. Once you’ve gained enough liquid courage, you can set up the karaoke set and start singing. At first, it might seem like karaoke is the type of activity only for extroverts. However, you’d be surprised at how it pulls out the personality of the less talkative people of the group. We can guarantee that by the end of the night, everyone will feel like they’ve been friends forever. Not only is this a great way to take some pressure off the parents during a sleepover, but it’s also creative. The make your own dinner sleepover is something that your guests surely won’t forget. Especially as it’s the type of activity that everyone will love to do. With that being said, it might be slightly more expensive than ordering pizza for the whole group. 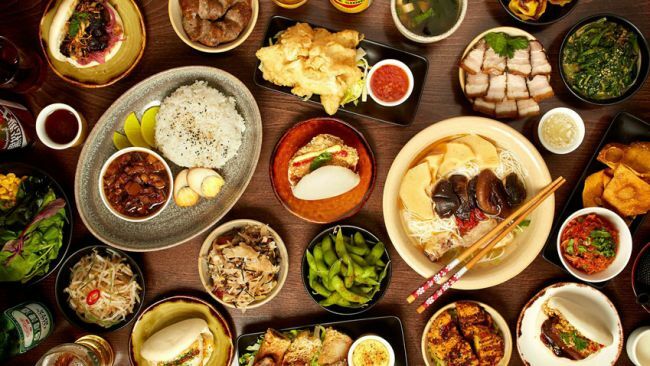 First, you’re going to want to buy an assortment of ingredients to make different dinners that you think the guests will enjoy. For example, all of the ingredients you need for burgers, homemade pizza, or even something as elegant as spaghetti. When it comes time for dinner, all of the guests can then choose what dinner they’d like to make for themselves. It’s a fantastic idea because everyone will be able to go to sleep with a full stomach and happy with their meal choice. The most important part of a make your own dinner sleepover is that everyone cleans up after themselves once they’re finished! We’ve all played board games at one point or another, but what if you had an endless amount of games to choose from? Board games are a classic way to have some fun inside, especially if you’re dealing with a large group for a sleepover. People can break off into groups of two to four people and choose a board game that they’d like to play. The winners at the end of each game can then play against each other until one person is left as the ultimate winner of all the board games. You can then gift them a present or a treat. If you don’t want to make it a competition, you can easily set up a ton of board games for your guests to play. We recommend games such as Cranium, Clue, Battleship, Jenga, and Twister. However, we definitely recommend staying away from Monopoly because it’s too long of a game and can be quite frustrating. There are always unique things that you can do at a sleepover, especially if you want to make it a night that people will remember for years. 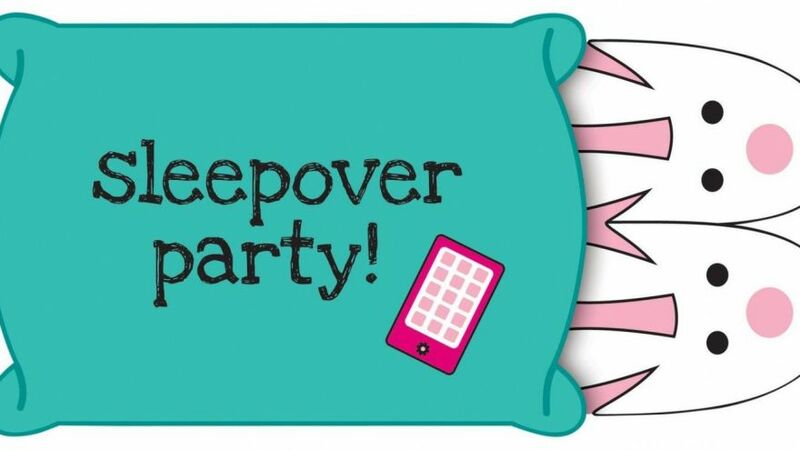 All you need to do is get a little creative and think about the things you’d like to do at a sleepover.